I got into it in the early-ish 90s. A friend of mine was my gateway into RPGs, and we had done Cyberpunk and 'Het Oog des Meesters' (the Dutch translation of the German 'Das Schwarze Auge', which was basically just off-brand D&D), and maybe Warhammer Roleplay already. I can't quite recall the order of them. He owned a set of French-translation 1st edition books. So, he was the GM, because my French was (and is) too shoddy to read RPGs with. After secondary school, I've had the books here and there, but I haven't really had a gaming group consistent enough to have a regular tabletop game with. As a result, I took my gaming online with a custom-made website on which I edited together the posts that my players would send me over email into a fairly seamless narrative. Posted: Tue Oct 31, 2017 8:28 pm Post subject: Re: How did you get into the WEG Star Wars RPG? And as documented here, I did get my original copy of my 1e SW Sourcebook back after 22 years apart from it. A friend of mine had the blue Vader cover of 2e when I went to visit him. We barged our way through it, doing some sort of adventure that I likely made up on the spot, and then I went back to Houston. In college, I got into R&E. Answer: I didn't! Well, not exactly. I was vaguely aware of the Star Wars Roleplaying Game put out by WEG probably starting around the mid to late 90s. Basically, just before they lost the license. I think I discovered references to it tangentially through playing games like Star Wars: Rebellion, and reading through the Star Wars Encyclopedia 2nd edition (I think that's what it was called). Entries in that book made reference to stuff from the RPG, so that clued me in to its existence. It wasn't until probably 2006 or so that I met a guy who did some freelance work for WEG (he wrote Cynabar's droid book and some other stuff) who told me a little more about it. Even then, I still hadn't actually seen anything from it. There was a games shop in my area in the early 90s, but as far as I know, they didn't carry the WEG stuff. Lots of Warhammer/40K stuff, AD&D, and some other more obscure things. Plenty of minis, modules, etc. But aside from maybe having some Star Wars minis, I don't think they had a ton of WEG stuff. Regardless, I wasn't really looking for it, and the store shut down or moved probably around '95 or so. Maybe earlier." Anyway, bottom line here is that there wasn't really any avenue for me to learn about the game until much, much later. Just this year, as I was getting more interested in old school RPGs again and picking up books on ebay (as well as digging through my own old collection that I unearthed from my basement), I decided to take a look at the Star Wars RPG, and found it to be a really interesting system. I still, however, have not had a chance to actually play the game (which, to be fair, is mostly true of all tabletop RPGs -- nobody around me ever really played, and I only dimly recall a couple of sessions at friends houses that went nowhere and felt really unfocused). So, in the sense of "how'd you get into it," I didn't, because I wouldn't say I've had a chance to "get into it" in any sense other than leafing through the books currently. I'd love to get into a game, but finding the time and a group is tricky for me. I have run 3 adventures and a couple 1 shots with the FFG system with two different groups. One is a group of experienced RPG players the other is two friends and two of our wives and my stepson. Long story short the FFG system can be a little daunting for newer less involved RPG players. I picked up the 30th anniversary edition from FFG and haven't looked back. Character creation is simple and the dice rolls are simple. I have yet to play this system with my family/501st group but the results from my DnD group have been positive. Posted: Mon Sep 03, 2018 7:34 pm Post subject: Re: How did you get into the WEG Star Wars RPG? I was part of a gaming group that met at the banquet room in a local pizza place every Sunday. At the time, we were playing Palladium's Robotech, which had the distinction of being my first roleplaying game (my parents were very religious growing up, so Dungeons & Dragons - and even the magic portions of Palladium's Heroes Unlimited - were strictly verboten). That really is the best way to enjoy the Palladium system because you don't have any frame of reference to realize just how bad it is. This was in '88-'89, IIRC, so Star Wars had just come out. My next big step was when I discovered the robust SWD6 fan community on the Internet. I didn't have internet access at home, but I could go on line at the computer lab in the library at the local community college, and that was where I discovered the AOL SW-RPG Mailing List, which opened my eyes to the idea that you didn't have to just follow the WEG rules, that you could make your own rules that completely overrode WEG if you so wished. And then, shortly thereafter, WotC released their first edition of D20 Star Wars and the D6 well dried up for a few years. Posted: Tue Sep 04, 2018 10:08 pm Post subject: Re: How did you get into the WEG Star Wars RPG? Anyway, the GM got sick of Palladium and decided he wanted to play Star Wars. I had never heard of it, and was somewhat wary of a system that only used one kind of dice. Interesting. I had only played D&D and other games that use polyhedral dice before Star Wars. I don't remember feeling wary of only using d6s. I don't remember thinking that aspect was particularly good or bad. I just remember being excited that there was a Star Wars RPG. The books obviously did not come with any dice like the TSR box sets I was used to playing. When I read in the core book that I should cannibalize my family's board games for the d6s, I immediately did. We had Yahtzee and a couple others, so I remember being like, "Dice, Check" and then continued to excitingly read the book. I do remember really loving the game system in a way I never experienced from just from reading any other game. But playing the game was the clincher. At the end of the second session I distinctly remember my group and I all agreeing that the whole Star Wars game is easier and more fun than D&D. When the game was released out gaming group bound up at my buddy's house and played our first game. Instantly hooked. That was back in 1987. Not my gaming career began in 1979 at my grandfather's house when I was introduced by my cousins to a RPG. Not sure if you guys have heard of it or not. Dungeons and Dragons. My friend Dave had wanted to try D&D because he was really into fantasy. We played a game or two of it but found there was a disconnect; can't say what or why but it was there, so we decided to pass on any more adventures. A month or so later, he comes into school with (what was then BRAND NEW) SW RPG 2nd Ed. I had no idea anyone had made a Star Wars RPG and we poured over that book ... until we realized it was missing some pages, so he returned it to FYE and got another one. I got my own copy some weeks later (no idea how, as I was too young to be employed!) and the rest is history. I think we played regularly until 1999/2000 and then petered off until... 2003 or so. It was the Fall semester of 1989 when a guy named Alan introduced what would become our long-running group to the WEG SWRPG. We played on the weekends in high school and loved it. We borrowed Alan's books for a while until I could order them at the local Waldenbooks. On a trip to Atlanta the next summer, I discovered the Imperial Sourcebook and rapidly plunked down the cash before reading it cover to cover. It greatly enhanced our gameplay and was the start of my WEG addiction. It was always about the miniatures. When I was younger my favorite toys were probably my few, hard won, Kenner Micro Collection Star Wars sets. These things were short lived, and were relegated to dusty discount shelves by the time I was old enough to start looking for them. In addition to snagging a few of these, I had acquired the Jabba's Palace diorama model kit and painted it up. I didn't do too bad a job, for a 4 year old. (Unfortunately that's where my painting skills plateaued but that's irrelevant.) I found anything I could to increase my micro-options. The diorama figures were roughly the right scale, as were the pieces to the Sarlacc Pitt boardgame, and a Jabba the Hutt eraser. One year, we made a trip to The Big City to do Christmas shopping at, get this, a TWO STORY MALL. Who could imagine such a beacon of material goods? At this mall, towards the end of the night of shameless American consumerism, we went to The Phantom in the Attic, which was a comic book store. At the back of the shop I found two oblong boxes of what seemed to me to be spare figures in the style of Micro Collection. (I now know these to have been the Bounty Hunters and Imperial Forces boxed sets.) This was great, it had Bossk, my favorite bounty hunter, and lots of other stuff. What was going on? Was Kenner revisiting their SW line? No. I tried to convince my mother to buy some but she insisted they were expensive, made of lead, and beyond my painting ability. And expensive. But for some reason, she read the box, saw they were for the RPG, and that Christmas I got the core book. I didn't understand. They told me this book was "the game those figures are for". I didn't know what RPG's were so the whole thing was baffling. At 7, this was beyond me so my older brother purloined the book and played with his friends. Now to add to the confusion in retrospect, my parent's were firmly in the "D&D is Satanic" camp. Two years later we went to Disney World. In the gift shop of Star Tours was every miniatures boxed set, and lots of RPG supplements. And the SWMB book. The cover was mysterious and seemed to depict everything I'd ever wanted a hobby to be. However, it said you needed "6 to 60" figures which I took too literally. Box sets had 10 minis so I'd need at least 2 boxes to get 6 figures per side. Plus the rulebook I'd be on the hook for well over $40. A bridge too far! I actually had the money on me but it would have about cleaned me out. However, it got me back into trying the RPG when I got home. Starting about a year later, blister packs of minis (and the 2nd edition RPG book) appeared in a local record store. I got "Users of the Force" for $1 off cause Darth Vader had a broken lightsaber. My older brother gave me "Rebel Commandos # 1" for my birthday. I managed to snag "Rebel Troopers # 2", "Imperial Officers", "Stormtroopers #4", and "Imperial Army Troopers # 2" but the price was terrible. I knew the boxed sets of 10 figures were a much better value. Along the way, "Heroes of the Rebellion" (both # 1 and #2!) appeared under a Christmas tree with a pile of RPG supplements. 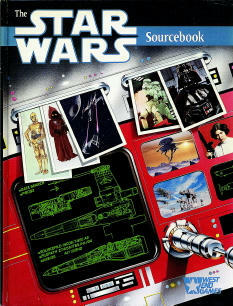 Two years after my first discovery of the SWMB book, I was back at Star Tours, fully intending to spend too much money. I had a plan. Buy the real book (after trying to bash out mass battles rules of my own) and get some of the boxed sets of minis which were way cheaper per figure than the stupid blister packs the record store carried. I intended to buy boxed sets only to discover they were discontinued and Disney basically only stocked blisters now. I grabbed 4 more packs, chaffing at the price per figure: "Pilots & Gunners", "Bounty Hunters # 1", "Droids # 1", and "Rebel Operatives". For the (much better value) boxed sets, only the "Jabba's Palace" and "Rancor Pit" boxes were still sold there, and those didn't look helpful for army building. On that Florida trip I also got a box of Zero-G Stormtroopers at a flea market stall that specialized in sci-fi memorabilia. I snagged some rubber dinosaurs at EPCOT that looked like they'd be useful for converting my own alien monsters. Before we left, the bookbinding on my copy of SWMB started falling apart. A Disney employee took down my address and my broken book, and promised to mail me a new one. That was an agonizingly long wait when I got home! I came home and started teaching myself to paint, tried to make scenery, and bought big piece of green cloth. Looking back on it, in many ways it just goes to show how slow information traveled back then. Pretty much everything I did/bought/played was behind the times a bit. Adding to the frustration, I had acquired miniatures as I could, getting a little of this and a little of that, only to discover, SWMB was actually built around the assumption that you'd kinda start off with 20 or so nameless identical troops, per side. So a lot of my figures were kinda useless. There were a lot more ups and downs over the years but that was how I got into West End Star Wars. It eventually led to other RPG's and miniatures games. But at the end of the day it is, was and always will be all about little metal Star Wars toys. Tasker, Pel, and TS, thanks for sharing. I love reading these stories. Anyone else? How did you get into the WEG Star Wars RPG? I happened to come across Star Wars, RPG long after seeing the movies and reading some of the books. I have always been found of RPGs, starting out with a D&D type game with my grandfather when we were at our summer cottage. I remember his friar, running about with a canoo on his back in case he fell in the water. It was in these days, a summer i think it must have been when all of a sudden many of my friends and buddies also took up the hobby. The first star wars rpg i ever played was 2ed D6 this one, and in many ways it stuck. sorry for a non exiting story with little or no drama, the first ever star wars season I do remember though, and it was actually a litte "dramatic"